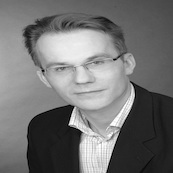 Andreas Philipp is Senior Business Development at Primekey, one of the world’s leading companies for PKI Solutions. In his role as Business Development Manager, he combines his technical background with a strong focus on new and changing markets. With an overall extensive experience in the Security Business of 25 years, Andreas has become well-known industry expert and a frequent conference speaker. After 15 years of experience in Software development, Project Management and System integration in the area of Hardware Security Modules, Andreas toke over the worldwide Sales and Marketing responsibility for more than 10 years. Building trust takes time. Or just cryptography and secure execution?